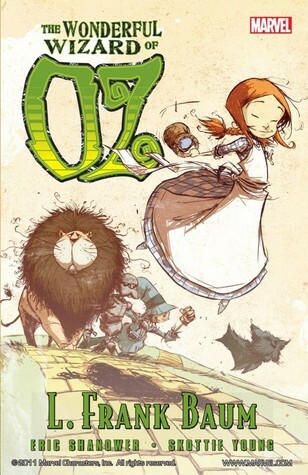 These graphic novels based on the classic series of stories about OZ by L. Frank Baum are spectacular! The stories are delightful. They lose none of their fun, their sense of adventure and magic in graphic novel form. I have to say that, for me, these elements were actually enhanced in this format. Eric Shanower’s storytelling adaptations are nothing short of masterful. Having read the first two books by Baum, I prefer Shanower’s graphic novel adaptations. Sometimes Baum can get too bogged down in extraneous language for my taste. These stories–by virtue of the graphic novel format–do not have that drawback. 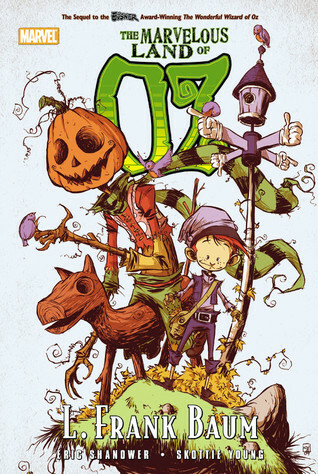 I was engaged by the text and spellbound by Skottie Young’s exquisite illustrations from the first to the last page in every single one of the books in the series. All of Baum’s richly imagined content is here along with his subtly profound observations of humanity and civilization. One of my favorites is in #2 The Marvelous Land of Oz when the Woggle-bug is treated to the eye-opening, mind-expanding revelation by the SawHorse, Pumpkinhead, the Scarecrow and the Tin Man that you truly can never judge the content of anyone’s personality, capabilities or talents based on their external appearance. In #2, Pumpkinhead and the Woggle-bug made me almost split my seams laughing. In #3 I was excited to see Dorothy again and learn more about Ozma, a character about whom I have been curious for some time; and I have to say I was THRILLED to meet the Wizard again in #4! 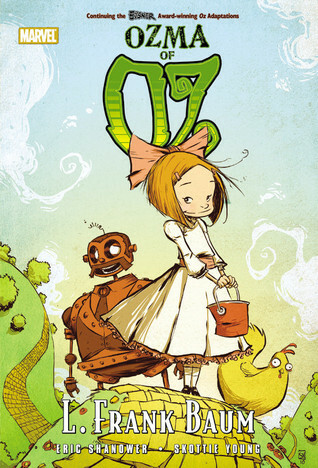 If you liked The Wizard of Oz, enjoy fantasy, adventure and graphic novels these are a MUST READ for you!! At any age! My 10-year-old son, my 8-year-old daughter and I have been passing them around to each other for the past month and ALL of us have been enthralled by the stories and had our breath taken away by the vivid illustrations. 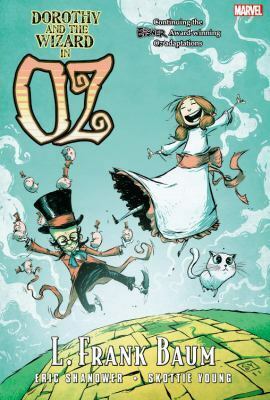 I will be watching for other graphic novels for children by Shanower and Young and I am anxiously awaiting the arrival at the library of Book #5 The Road to Oz! What a great review. I can hardly wait to read this series. Thanks so much.